Can you believe it… 2018 is almost over! And while the year flew by, it’s not quite over just yet. 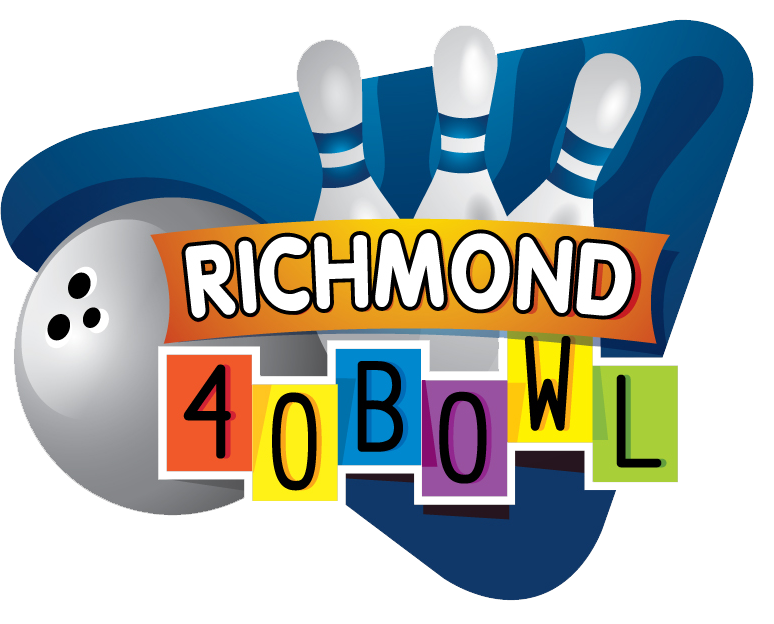 At Richmond 40 in Richmond, Indiana, we have a couple more big parties before we ring in the new year. If you’re ready for some of the best eats, a few games of bowling, and fun for the whole family, then save the dates for our Lunch with Santa and Roll in the New Year events! This Saturday, December 15th, we’ve managed to work out a deal with the big man himself. 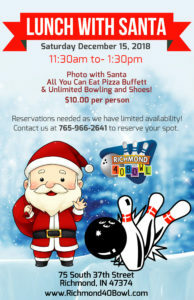 Santa has agreed to take some time away from his workshop to come hang out with us at Richmond 40 from 11:30 am-1:30 pm. Santa will be taking pictures and Christmas requests from the good boys and girls. Plus we’ll have an all-you-can-eat pizza buffet. If that’s not enough, though, we’re also offering unlimited bowling and shoes all for only $10 per person! We are taking reservations for our huge New Years Eve party right now! On December 31, we’ll be having a countdown party to end 2018 and ring in 2019. Our Countdown party package includes 3 ½ hours of unlimited cosmic bowling, party favors, a one-hour appetizer buffet and unlimited nonalcoholic beverages. We’re also offering a family party package from 6 pm-8 pm which includes unlimited bowling, a laser light show, food buffet, and more! If any of this sounds like fun to you, give us a call to book your spot today! We love the holidays here at Richmond 40 and we can’t wait to celebrate with you all December long!